The period covered by Arts:Search is 1910- 1914. Available now. Available Annually. 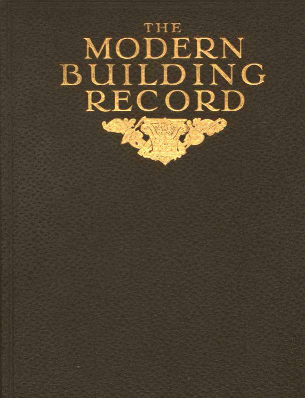 Contains a series of well-illustrated reports on recent public, commercial and domestic architectural projects in Britain. Includes details of the architects and contractors involved in the design and construction of each project. Architects whose work is discussed and illustrated include C.F.A. Voysey, Barry Parker, Raymond Unwin, Aston Webb, Edwin Lutyens, Ernest Newton, Reginald Blomfield, E. Guy Dawber, C.H.B. Quennell, Robert Lorimer, Giles Gilbert Scott and Banister Fletcher.